Take on the day with confidence. 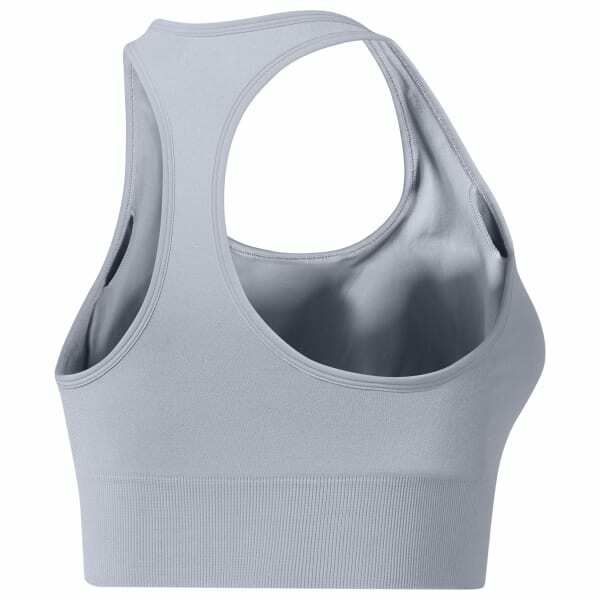 Under your workout clothes or on full display, this women's sports bra shows where your loyalties lie with a bold Reebok graphic on the front. The seamless construction offers supreme comfort, while the racer-back cut allows for a wide range of motion with every press and pull.